How Cyber Secure Is the Software in Your Car? Today more than ever we have access to large amounts of information. You've probably heard the term "big data," which in essence is having access to large amounts of data and examining the trends in that data. But many executives want to know how they can leverage this information to solve business problems, like lowering IT costs. One way is to use the data to do a better job of estimating IT projects. Better estimating helps avoid signing up to schedules and budgets that are unrealistic; it helps avoid overstaffing a project or a portfolio of projects; and it helps calculate how much work can be completed within project constraints. In addition, it improves communication internally across the enterprise and externally between the vendor and the client. You can apply estimation to in-house projects and you can use it to generate better proposals or to do a better job of evaluating proposals. It can also help you negotiate more effectively. To do a better job of estimating, you need to make good decisions regarding which metrics to leverage. You might have thousands of data points, but it's important to streamline the focus to the core release level metrics: cost, duration, effort, reliability, and productivity. Next, you need to find a centralized place to organize and store the data so you can analyze it. There are tools out there that can help you. In the view below, you can see a portfolio of projects stored in a centralized place with the ability to manage the access and security. Read more about How Can You Leverage Big Data to Reduce Your IT Costs? 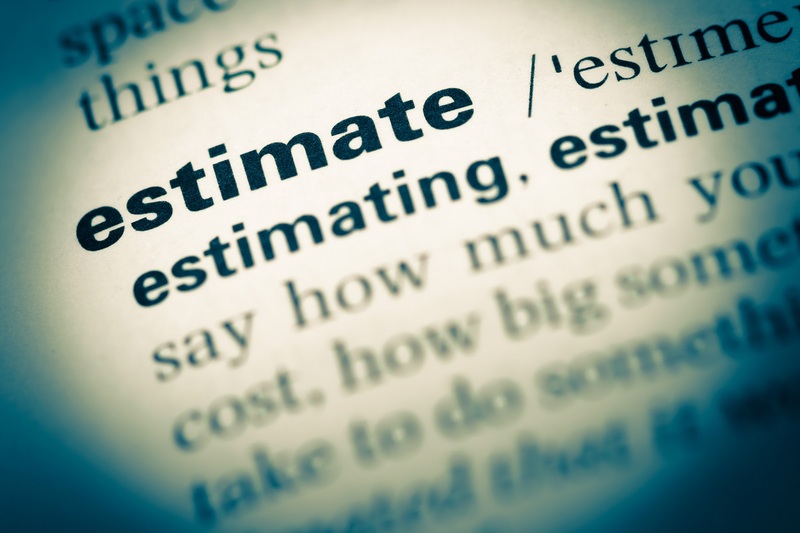 Do We All Define "Estimate" the Same Way? Maybe Not, but We Should. In any development methodology, we throw around the word “estimate” freely not really understanding how it’s interpreted by many. In many cases, an estimate, regardless of its content and process by which it was created, is received implicitly as a pin point number with the accuracy of multiple decimal points. This presents a problem for all parties involved. I recently had a discussion with a gentleman who told me that prior to using our SLIM tool, the estimates in his organization were arrived at by casual hallway conversations, often started with, “how much do you think this will cost, and how long will it take?” A typical response is, “hmmm, I’d say about 6 months and $500K.” That innocent musing then becomes the information upon which business decisions are based, leadership bonuses may be won or lost, and the credibility of the dev team is on the line. Read more about Do We All Define "Estimate" the Same Way? Maybe Not, but We Should. Derived PI: Is PI from Peak Staff “Good Enough”? Are you having a hard time collecting total effort for SLIM Phase 3 on a completed project? Can you get a good handle on the peak staff? Maybe we can still determine PI! So, how many people did you have at the peak? When did you start design and when was integration testing done? Can we measure the size of the software? That gives us the minimum set of metrics to dig up. However, the PI (Productivity Index) formula also requires phase 3 effort. Can we use SLIM to generate a PI that is useful, using peak staff instead of total effort? A statistical test on historical metrics can answer this question. Projects used in this study had all 4 of the following: actual reported effort; size; peak staff; duration. For each project, a derived effort is generated from peak staff, size and duration. A derived PI is generated from the derived effort, size and duration. This derived PI is then compared to the actual PI. Read more about Derived PI: Is PI from Peak Staff “Good Enough”? The challenges surrounding software estimation are both well known and well documented. Most discussions on this topic center around the technical challenges estimators face: tight schedules, unclear scope, evolving requirements, and accounting for dependencies and risk. But there's a more fundamental challenge we don't hear so much about – educating stakeholders and making the business case for structured, yet practical estimation, and why it is a critical success factor. Let's face it: process improvement is rarely cost-free. Businesses expect a visible return on investments made in estimation tools and training. The benefits of quality software estimation can be compelling, but moving decision makers from "open to the idea of estimation" to "willing to commit money and resources" can be difficult for busy analysts and managers juggling multiple roles and tasks. QSM is pleased to announce the release of SLIM-Collaborate 3.0, the web-based, software-as-a-service version of our trusted software estimation, tracking and benchmarking suite. With more advanced workflow capabilities, the updated version of SLIM-Collaborate enables more efficient communication between stakeholders throughout the estimation process. Additionally, the demand resource capabilities added in SLIM-Collaborate 3.0 make it easier for users to identify staffing needs and allocate resources to a software project. At QSM, we understand the importance of looking forward, but we also strongly believe in sharing the insights and advice we’ve gained from our past experiences. 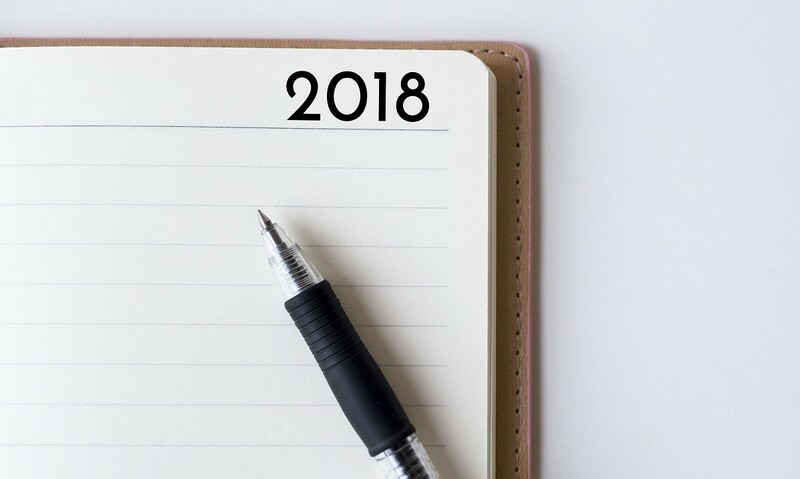 That’s why we gathered our best and brightest team members to provide their top five pieces of advice for successful software development in 2018. 1. Use verified project data as a baseline. Too many organizations think of “estimation” as really just bottom-up planning—dividing a software project into its component tasks, and then trying to pair each task with plausible time and resource numbers. They’re left with “point estimates,” or single values, that don’t account for the inherent uncertainty surrounding a project’s size, scope and productivity. Point estimates can lead to inaccuracies that can ultimately cause projects to run over time and budget. Instead, organizations should base their estimates on real, verified project data. These “top down” estimates should be completed long before prohibitive schedules, budgets, and task lists get cemented into place. Organizations that use this approach are able to account for any changes in scope or requirements early on and adjust their quantitative estimates as needed, leading to better and more accurate forecasting. 2. Fill in the information gaps in your software estimation process. Where Does IT Project Estimating Fit in an Organization? Wherever You’d Like! In my daily work life of supporting my clients, I’ve seen the IT project estimating function reside in many different areas of organizations. Some groups have this function situated in a core group, such as an Estimating Center of Excellence, PMO or Delivery Excellence group. These teams are responsible for either creating estimates for the organization after being fed some goals/assumptions, or vetting existing estimates born elsewhere to ensure they are in line with the business’ goals without compromising, as best they can, budget, schedule or quality. Conversely, I’ve worked with organizations in which the project estimation function is supported by organizationally dispersed estimators who are busy with their other tasks. Decentralized estimators typically serve a sole siloed division with not much interaction outside their team. Like the bigger shops, these folks are funneled project estimates to be sanity checked and render their analysis with recommendations for adjusting the estimate if it seems out of line. Both scenarios above share a common thread – the estimates, regardless of their origin, have an impact on, and are influenced by, a wide breadth of people. We at QSM call these people stakeholders, contributors, influencers etc. They all have some kind of investment in the estimate that is important to them. What if we could involve them in the estimating process? With more communal agreement on inputs, there won’t be as much rework of the estimate later, when otherwise uninvolved people see their interests aren’t represented. With everyone feeling they have a say in the estimate, smoother seas are at least more possible. Read more about Where Does IT Project Estimating Fit in an Organization? Wherever You’d Like!